HMD Global launched its Nokia 6.1 Plus back in August last year. The device features a dual rear camera setup at its back and the fingerprint sensor underneath the cameras. Now, it looks like a new Nokia 6.2 device coming soon. Famous tipster OnLeaks on his Twitter account has now shared the first images of the upcoming Nokia 6.2 (X71) Rear Panel. The newly leaked rear panel of the upcoming Nokia 6.2 finally reveals some design details giving us the first look that how the device will look like from its back. Interestingly, the two newly launched Nokia 6.2 rear panels are also available on Amazon India website for purchase, in black and white color option. The rear panel doesn’t look different from what we have seen on the Nokia 6.1 Plus. It also matches with the first renders posted by OnLeaks. The render from OnLeaks has also revealed that the Nokia 6.2 will be the first Nokia phone to come with punch-hole selfie camera. 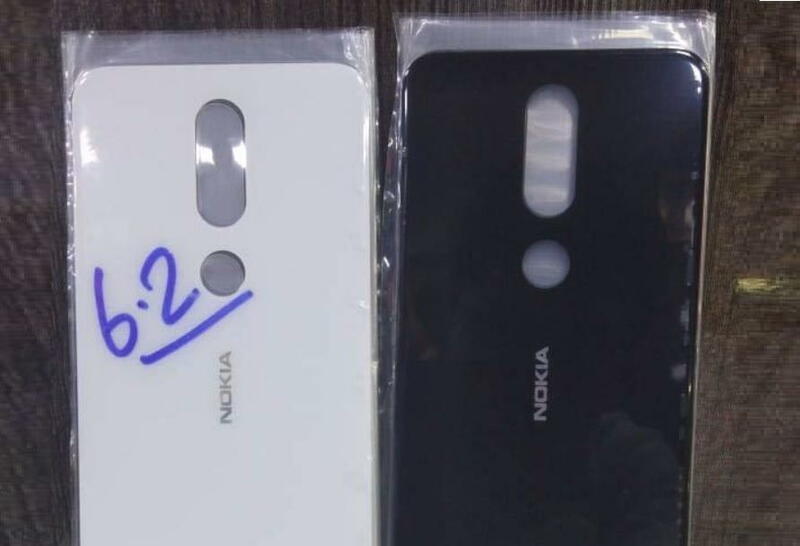 The leaked rear panel of the Nokia 6.2 (X71) looks identical to the Nokia 6.1 Plus. The rear panel appears to have a similar cut on the back for the dual camera setup and LED flash. The panel also has a cutout for the fingerprint sensor underneath the camera setup and the Nokia branding. It worth mentioning here that, the Nokia X71 is the name of the Chiese variant, which is expected to launch in China on April 2 according to the Chinese media report. On the other hand, the Nokia X71 in the Global market will be launched as Nokia 6.2, but there is no official detail available on its global launch. The Nokia X71 Geekbench listing reveals that the phone will come running Android 9 Pie out of the box. The device will be powered by Snapdragon 660 coupled with 6GB of RAM. The upcoming Nokia 6.2 (X71) is also expected to come with a 48MP wide-angle camera on the back.